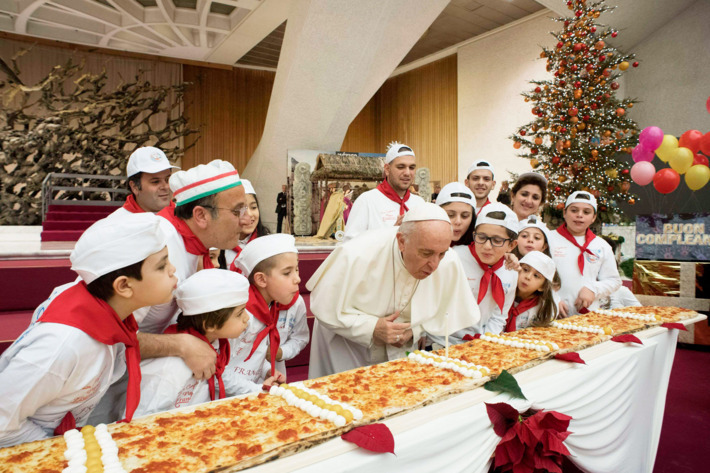 When the moon hits your eye like a big 13-foot pizza pie thaaaat’s Pope Francis… and a bunch of kids! 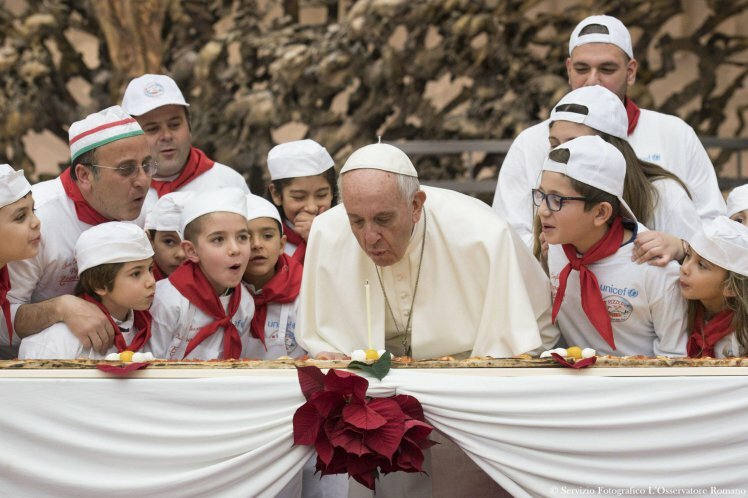 To be fair, there were more tasteful avenues my opener could’ve taken, but yeah, the pope has been pictured with a huge pizza for his 81st birthday – there’s also a bunch of kids around him but I’m not alluding to anything, alright! Everybody loves pizza. 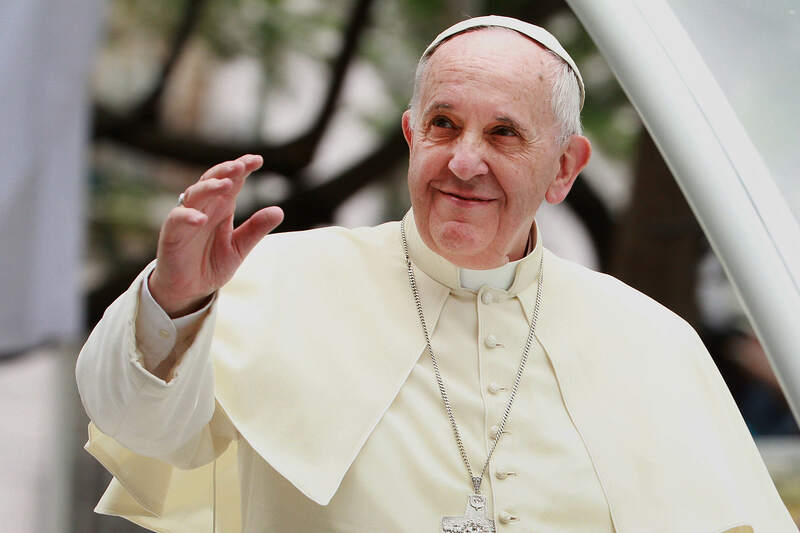 Pontifex himself could be seen blowing out a candle as others watched in on awe. The joy of children is a treasure and we ought to do everything so that they continue to be joyous. A joyous spirit is like good land that grows life well, with good fruit. [They may not] be uprooted children, without the memory of a people, without the memory of the faith, without the memory of so many beautiful things that have made up history, without the memory of values. And who will help children to do this? The grandparents. Teach them to talk with God. May they learn to pray, to say what they feel in their heart. It is joy, to talk with the grandparents, with the elderly, and to talk to God.